The CNC Sliding Headstock Automat machine is of twin spindle sliding head design to bring in productivity of Swiss style automat. The machine elements such as ball screws, bearings, CNC system and drives have been chosen from the best available technology in the world. The machine is built by a dedicated, experienced and skilled team under the guidance of domain experts. We manufacture and supply CNC Lathe Machines. 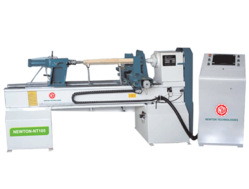 We also supply kits to convert Manual operated Lathe Machines into CNC Lathe Machines. Any manual operated Lathe can be converted to to CNC Operated Lathe machines using our Lathe conerssion Kits. KIRLOSKAR EP1550 LATHE MACHINE FOR SALE. »: Rigid section straight wide bed with hardened and ground guideways. »: Main spindle supported on precision angular contact ball bearings. »: Pre-loaded ballscrews and nuts for feed drives. 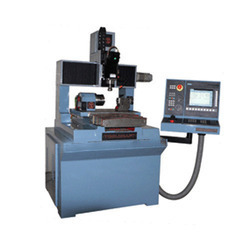 Our company holds vast experience in this domain and is involved in offering CNC Lathe Machine. Our firm is a leading manufacturer of a wide array of NEW DILIP- CNC Lathe Machine. We have a team of committed professionals who put their endless efforts in enhancing the quality of the products. In manufacturing of these products we use high grade raw material which are procured form certified vendors in the industry. The Jobber LM CNC lathe is a versatile workhorse which can easily cater to most medium sized auto and general engineering components. This model is available with either box type or linear motion guide ways. Jobber LM has been the highest selling model in the country and more than 5000 machines in operation bear testimony to the popularity of this reliable product.